Jim Thigpen, PharmD, BCPS, is Associate Professor, Department of Pharmacy Practice, Bill Gatton College of Pharmacy at East Tennessee State University. He received his B.S. and PharmD degrees from the Medical University of South Carolina. He completed a specialty residency in pediatrics and has served as a pediatric clinical pharmacist for the last 25 years. 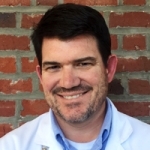 He has a passion for educating student pharmacists, residents, and clinical team members in all aspects of pediatric pharmacotherapy. He was awarded the Faculty Teaching Award in 2011 and the Outstanding Teacher Award by the classes of 2010, 2011 and 2015. His practice and research interests are broad and include neonatal abstinence syndrome, neonatal sepsis, medications in breastfeeding, among others. He has had the honor of speaking at the Academy of Neonatal Nursing Conference in 2012, 2014 and 2016. When faced with a potential neonatal infection, it is critical to choose the correct antibiotic(s) for the situation. Considering the environment of antibiotic resistance and some of the limitations for antibiotic use in this fragile population, selecting the right drug, dose, interval and monitoring parameters can be life and death decisions. This presentation will help the learner understand the complexities of this problem and provide them with the tools to provide state-of-the-art medical care.